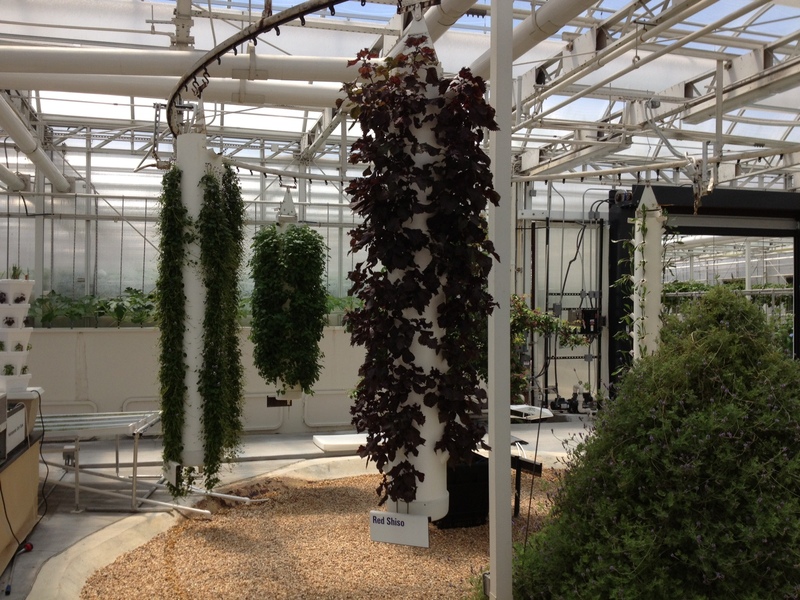 I met one of the best kept secrets in organic agriculture during my recent travels. 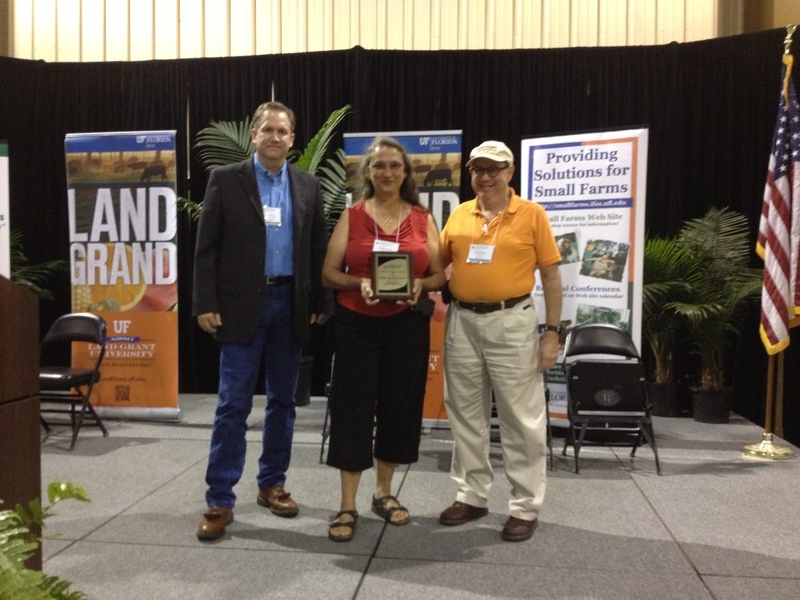 If you live in the South, and grow organically, you know that it can be a challenge. 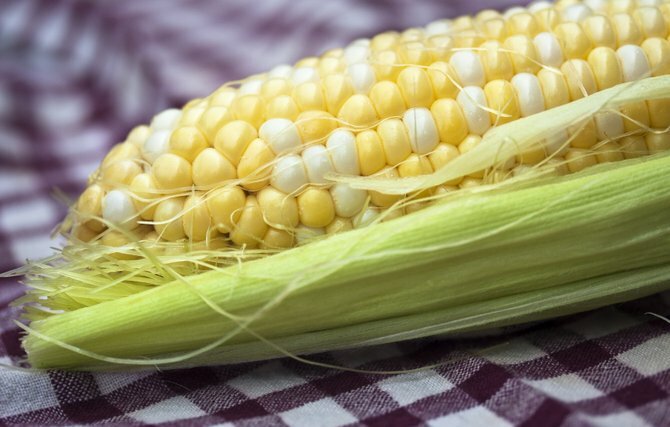 Lots of people, in fact, believe that you can’t grow organic “where the ground never freezes and the bugs never die,” as my friend Nellie Neal calls the South. Those of us who struggle to be “deep organic” and not use chemicals of any kind to control insects and diseases often feel a bit lonely, in fact. We have only our hard-won experience of losing some crops, saving others, to go by – without any firm scientific basis for our farm practices. But that may be about to end, somewhat. 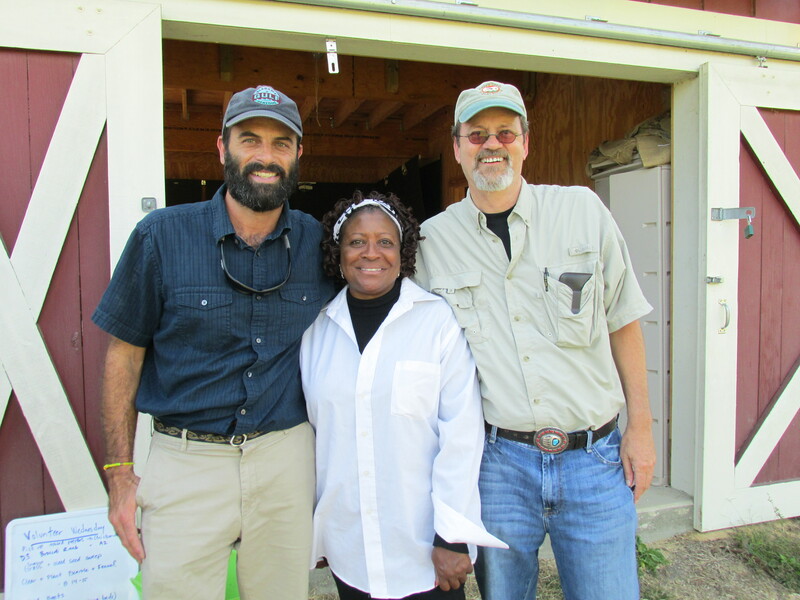 There is an extension service entomologist in Thomaston, Ala., who is conducting research into deterring the most common insect pests from organic farms and gardens using natural methods. Ayanava Majumdar, Ph.D. – or “Dr. A” as locals call him – has been studying “trap crop” plants that can lure harmful insects from organic vegetable crops. So far, his success has been astounding. 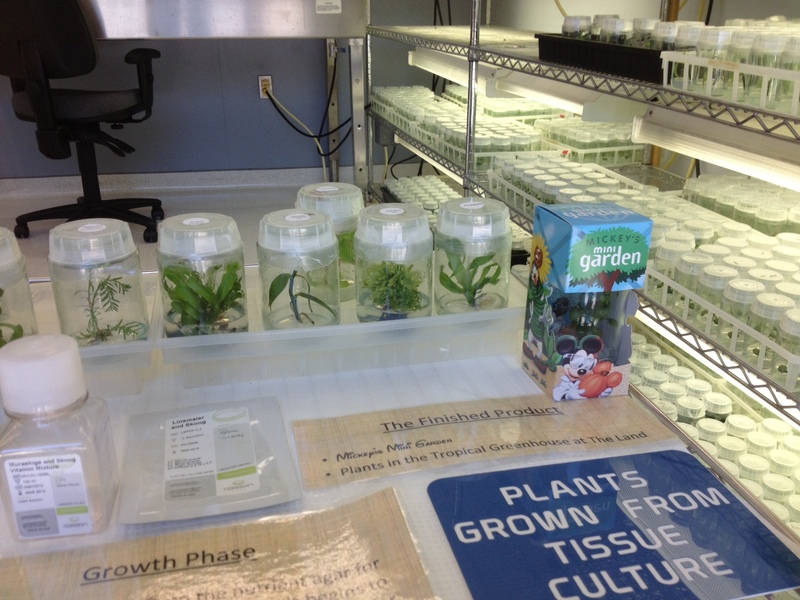 Turns out, Dr. A. has a demonstration farm at the Heritage Center and is conducting his research there. 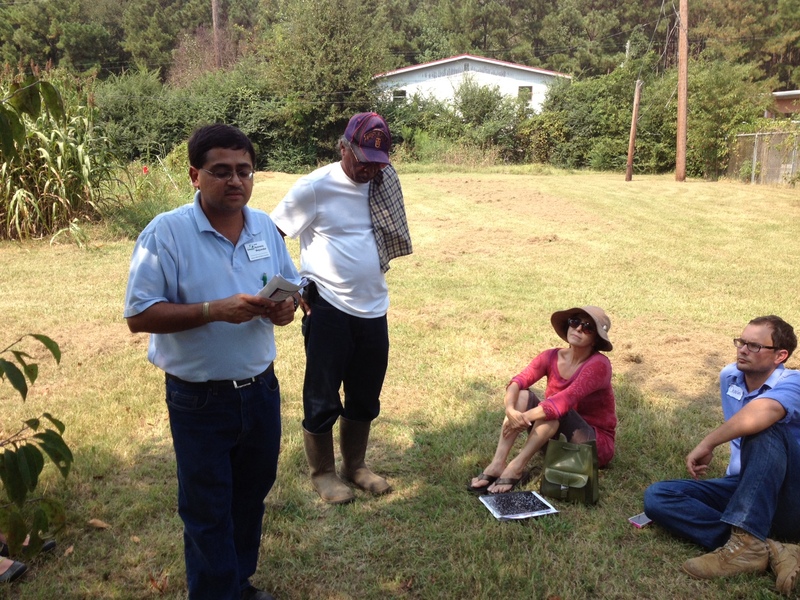 I eagerly toured his demonstration plots after the roundtable discussions were over. To be honest, I had no idea he was conducting his experiments in Alabama, or the South, for that matter. Maybe I just assumed he was “out there” somewhere, like the Rodale people in Pennsylvania, or the Land Institute in Kansas, or like our NCAT folks in Butte, MT. Not the South. I mean, really, who would have thought there would be a worldclass organic expert in a tiny town in Alabama? Unfortunately, most organic growers also know that often our cash crops often become trap crops by default. 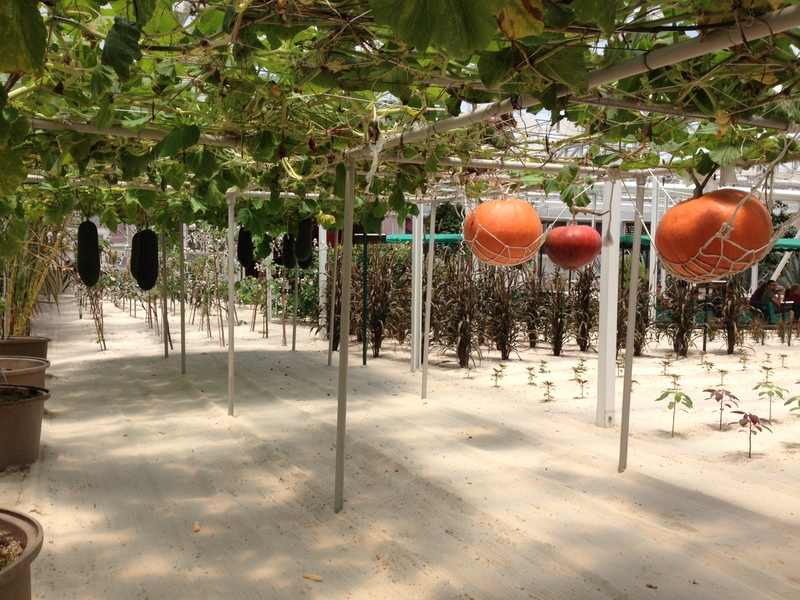 Many of our “trap crops” become that way because insects attack them. Every organic gardener or farmer has stories to tell about how one’s intended cash crop became so infested he or she kept it in hopes of keeping bugs there rather than attacking the other plants. Intended trap crops often don’t seem to work or work well enough. That’s where the science is lacking. Recently, farmers and gardeners have been having problems with a bug called “leaffooted bugs.” If you grow tomatoes, you probably have seen them. They look like a squash bug but have odd shaped flat protruberances on their legs. After a leaffooted bug attack, tomatoes become mottled; with black circular spots. You’ve probably seen attacked tomatoes at farmers markets; most farmers don’t even know what hit them, until it’s too late. Dr. A has found that forage sorghum (NK300) will lure leaffooted bugs from tomato plants, if planted prior to tomatoes so that the panicle is produced before tomato fruition. The bugs don’t even see the tomatoes, they are so intent on the sorghum panicle, he says. Asked about whether sunflowers don’t do as well to attract leaffooted bugs (which I had found in my own fields), he said that sunflowers have a limited amount of time in which they are in flower to attract the bug. 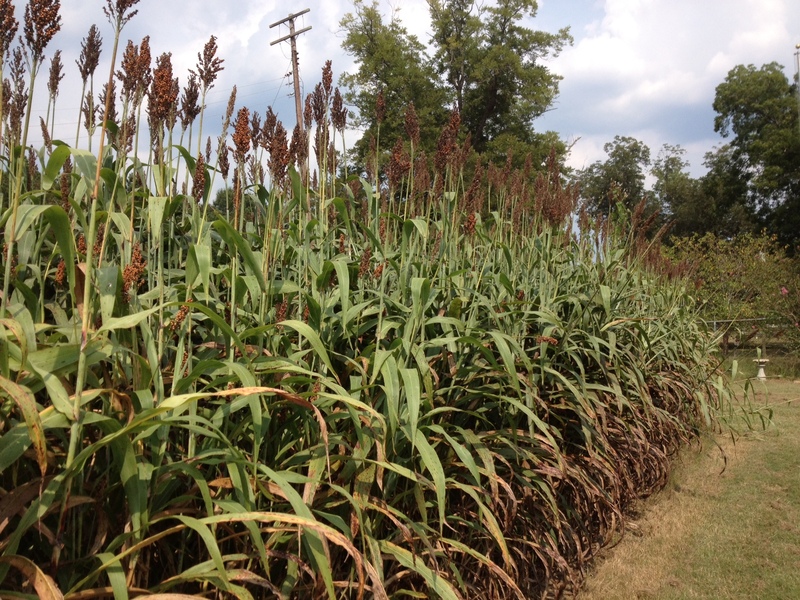 Sorghum stays attractive longer; though, he said, one could plant both, timed to allow an even longer season. Bingo! If you’re looking at a long season, plant both to succeed each! Moreover, one can plant other trap crops for other bugs and other crops that can also mix and match with these. 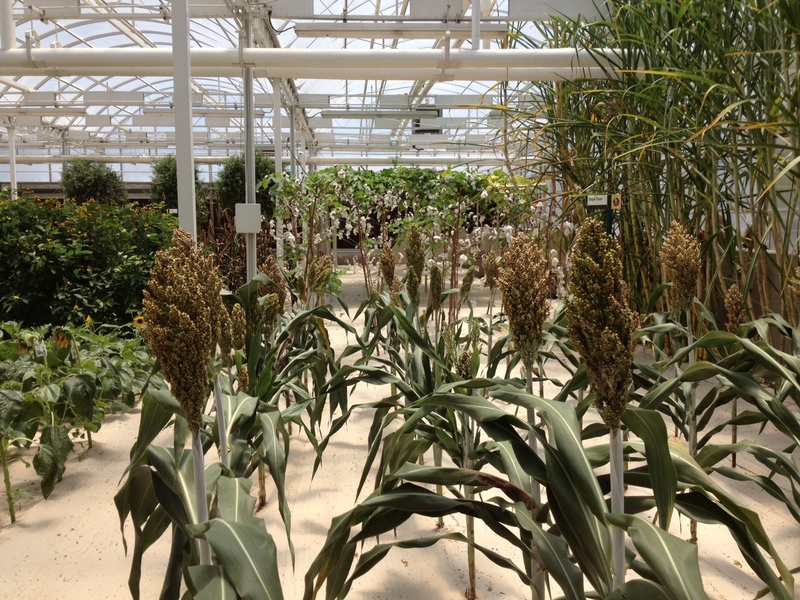 For example, he also says that the sunflower/sorghum strategy has worked on stink bugs; but he is still conducting experiments. He suggests using bug vaccums. — “Blue Hubbard” Squash planted as a perimeter can attract pepper maggots, cucumber beetles, squash vine borers and squash bugs with a 60 percent to 90 percent success rate. 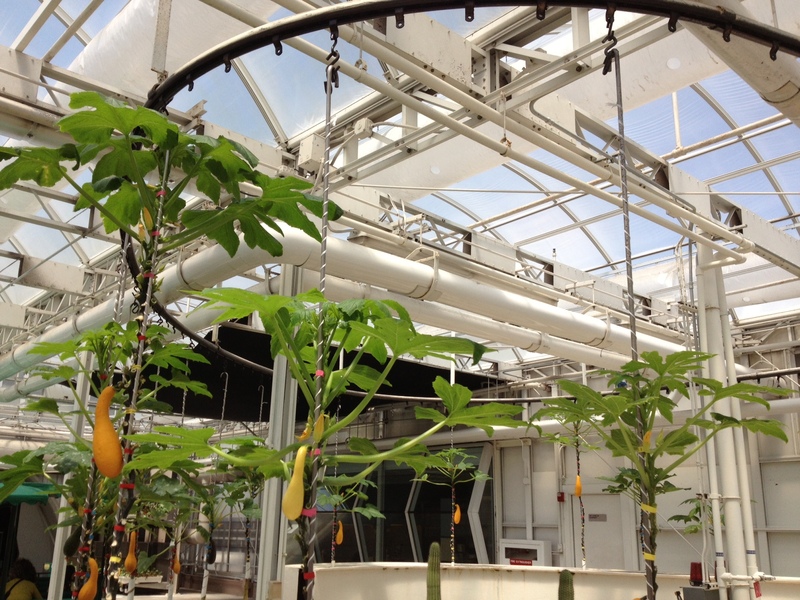 — Clemson spineless okra can be used as trap crop to protect tomatoes and bell peppers from aphids, flea beetles and grasshoppers. Dr. A certainly has his work cut out for him, but what he has discovered so far is simply phenomenal and has the potential to give Southern organics a huge boost. Someone needs to start sewing a superhero suit with a big “Dr. A” on it. This organic crusader is treading where few in the academic and scientific community have dared to go — and finding weaknesses among the mightiest of the South’s insect pests. 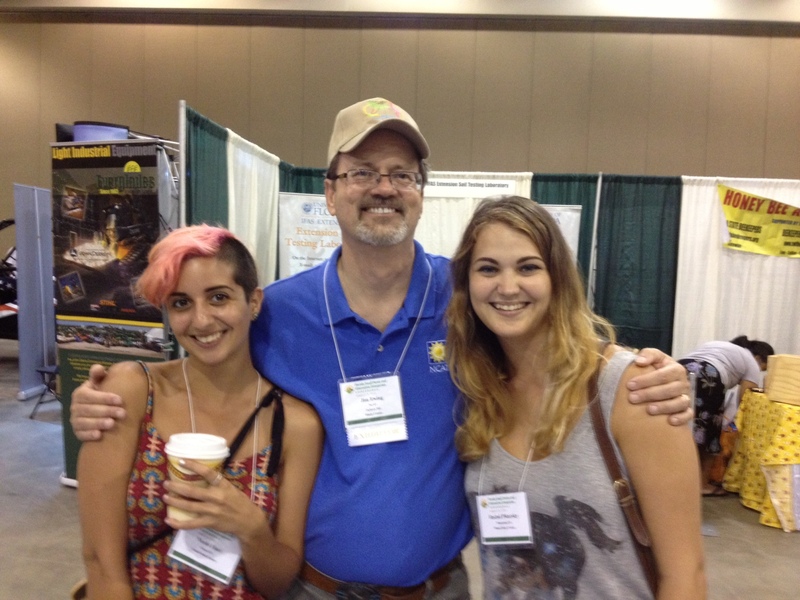 Thoughts from returning from a conference in Alabama …. 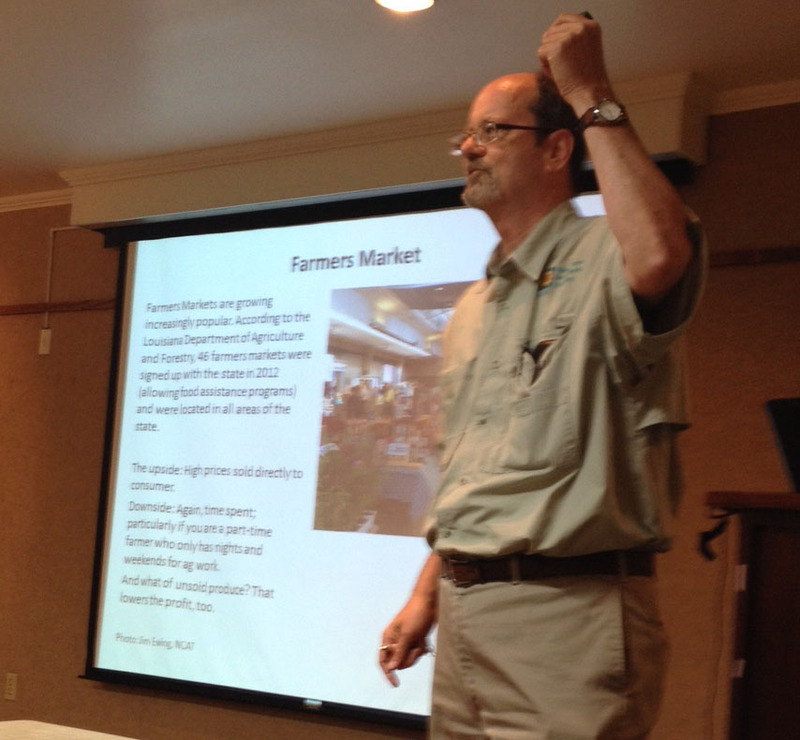 The Food & Farm Forum in Thomaston, Ala., Friday was interesting experience, unlike other forums where I’ve been asked to give a talk. 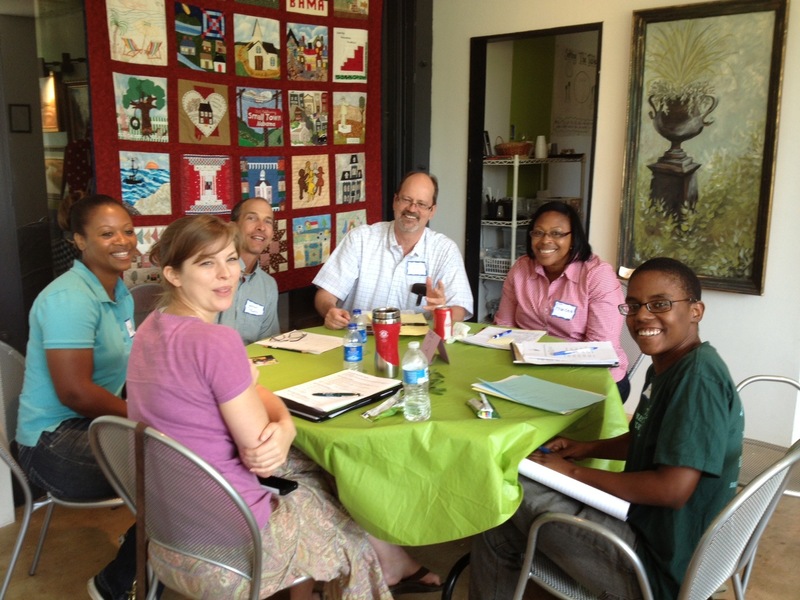 In this one, the group was divided into “tables,” each with its own discussion topic. Participants chose which topics they wished to engage in, with four rounds of discussions. I led two talks. Jim Ewing leads a discussion on Gifts and Challenges of Rural Southern Communities at a Food & Farm Forum by the Alabama Sustainable Agriculture Network Aug. 13, 2013. The event was hosted by the Alabama Rural Heritage Center and the Alabama A&M and Auburn University Cooperative Extension. Topics included teaching kids about growing food, food safety, food from perennials, high tunnels, medicinal herbs, seeds, birds for meat and eggs, selecting crops to decrease disease and pests, direct marketing, and others. 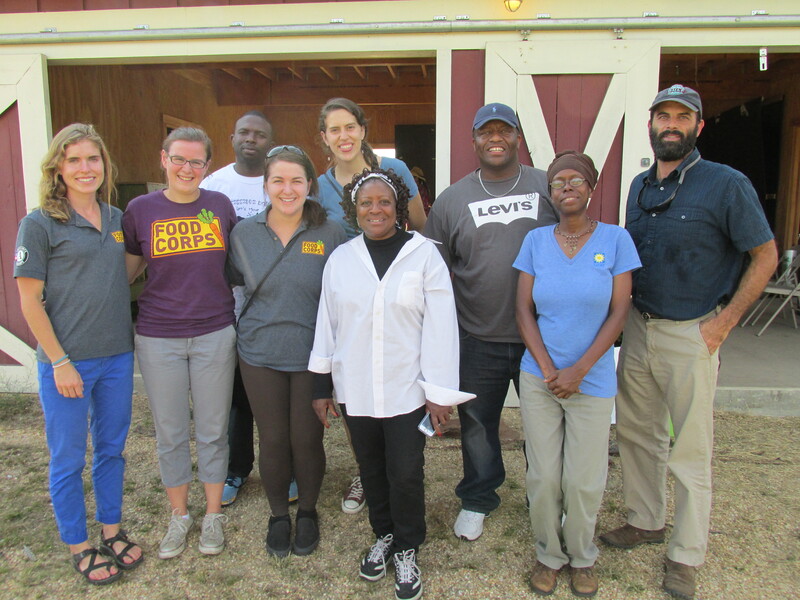 Hosted by the Alabama Sustainable Agriculture Network and Alabama A&M and Auburn Universities Cooperative Extension at the Alabama Rural Heritage Center, the forum was an opportunity for local people to express their interests and share their own experiences in sustainable agriculture. It was an enlightening experience. At our tables, for example, we had truly innovative leaders in sustainable agriculture mixed with newcomers wanting to learn more. Everyone shared, everyone learned something, and the entire experience was uplifting and thought provoking. It shows the power of crowd sourcing and sharing, where information flows up as well as down and adds engagement and conversation. 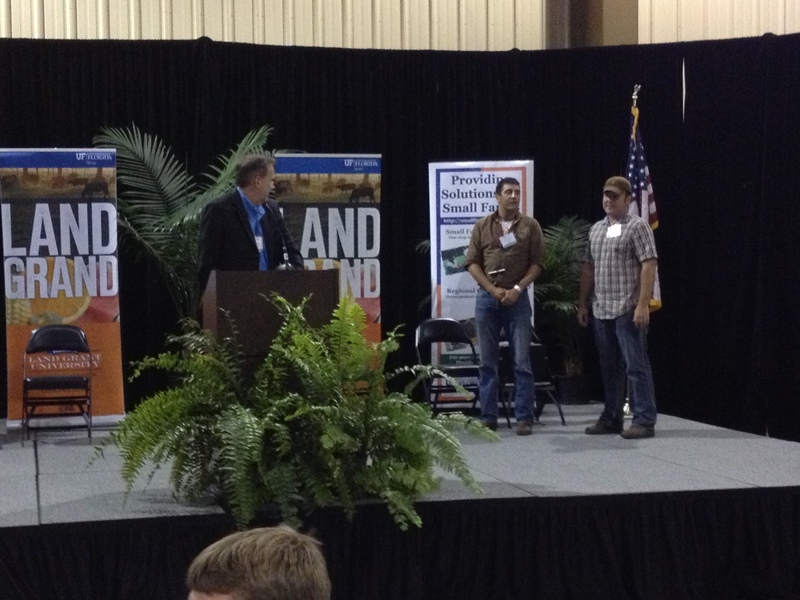 Not the least of this experience was the importance of networking in sustainable agriculture. Participants learned that they are not alone in their belief that something is lacking in our food system that speaks to the heart. My book Conscious Food, for example, was discussed, as was Norman Wirzba’s Food & Faith: A Theology of Eating. And we discussed the works of Thomas Berry (The Dream of the Earth) and how Wendell’s Berry’s 1977 book, The Unsettling of America, had proven so prescient — that the U.S. government urging farmers to plant “fence row to fence row” with industrial agriculture in the 1970s would decimate rural communities.